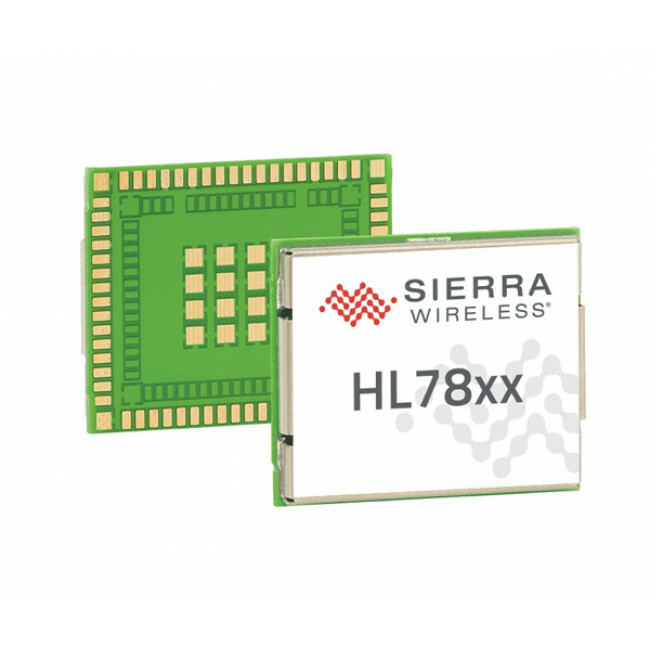 Sierra Wireless AirPrime HL7800 is world’s smallest multi-mode LPWA module offering best-in-class power performance for global LTE-M, NB-IoT, and GNSS networks. Sierra AirPrime HL7800 is fully compliant with the 3GPP Release 13 standard for Cat-M1/NB1 worldwide networks. AirPrime HL7800 is Release 14 ready to support NB2 features in the future, providing a new low-cost, best-in-class power technology for low-bandwidth IoT applications with extended reach beyond traditional cellular. Sierra HL7800 could deliver up to 300Kbps downlink speed and uplink speed to 375Kbps, which is ideal for simple static sensor applications, or real-time fixed or mobile applications such as asset tracking and monitoring, industrial equipment, consumer wearables, smart city, healthcare and agricultural monitoring devices.